This 4.5 hour One-Plantation afternoon tour will view all 7 antebellum mansions along the Old River Road. 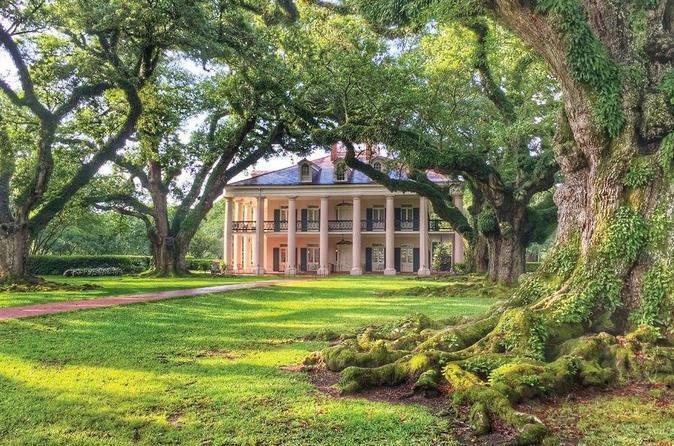 Choose between Oak Alley, Laura plantation or the Whitney plantation complex. Three different plantations and 3 totally very different guided tours with an experienced plantation Tour Guide aboard, and professional commentary. This tour leaves New Orleans at 12:00 (Noon) and returns between 4:30 to 5:00 P.M. Pick up starts 30 minutes before departure. The tour bus picks up from the hotels in the French Quarter area and downtown New Orleans. Guests staying outside our pick up area who need parking can meet at our office at 2041 Canal St. at 11:10 am. Parking is free of charge for our guests. If taking a taxi or uber, please call our toll free number 866-671-8687 for the closest meeting point. Food and beverage available for purchase for those touring Oak Alley plantation. If you need one, please let us know. We can provide a car seat for a baby, or toddler upon request. Whitney plantation is closed on Tuesdays.